Measurement control and data viewing can be easily achieved through the free App for Android or Apple phone. 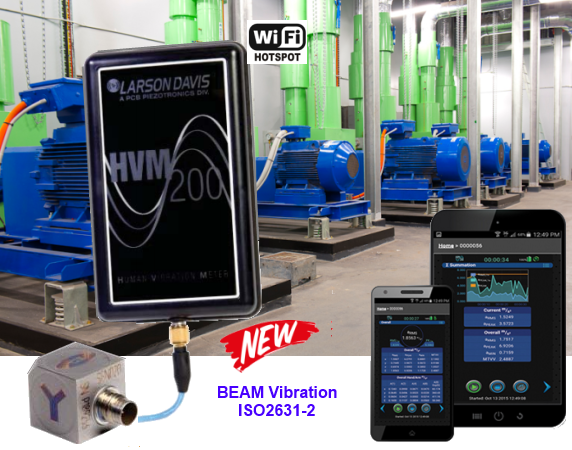 Vibration data is logged in user defined time interval from 1 s to 1 hour. 1/1 and 1/3 octave spectrum measurements (0.5 Hz to 2000 Hz and 0.4 Hz to 2500 Hz respectively) are available as options. Data can be transferred for report or further analysis by WIFI, USB or removable SD Card using the G4 HVM PC software. Besides acceleration, data can be integrated into velocity and displacement as needed. 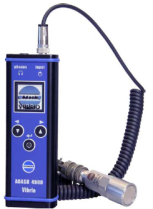 Adash A4900 Vibrio III is a revolutionary Expert Vibration Meter with a completely new design for machine monitoring. A4900 - Vibrio III is so easy that anybody can learn it very quickly. We use traffic-light colours green, orange and red to display the status. Determination of individual machine or bearings defect types is done directly during operation, without a need to use a computer or software. A4900 - Vibrio III can determine the condition of ubalance, misalignment and looseness at site. It can also measure temperature and act as a stroboscope for inspection of moving parts. A4900 - Vibrio III gives you the Best Value for Price.